It’s estimated that 1 in 26 people in the United States will develop epilepsy during their lifetime, whether in childhood or as a retired adult. 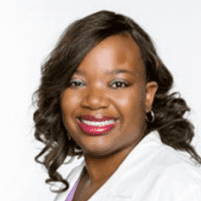 Sharisse Stephenson, MD, at Neurological Associates of North Texas specializes in epilepsy, helping patients control their seizures with medications and creating a lifestyle plan to stay healthy and safe. To learn more about epilepsy treatment, call one of the offices in Abilene or Dallas, Texas, or book an appointment online today. Epilepsy occurs when a change in your brain’s electrical activity causes a seizure. The nerves throughout your brain normally transmit small electrical impulses in an orderly pattern. When you have epilepsy, this normal electrical rhythm is interrupted with sudden bursts of uncontrolled electrical impulses that briefly affect your consciousness, movements, or sensations. What symptoms develop due to epilepsy? Tonic-clonic: Muscles stiffen, you lose consciousness, and then your arms and legs jerk rapidly and rhythmically. This seizure normally lasts 1-3 minutes. Absence: You have a lapse in awareness, sometimes with staring or subtle eye blinking. This seizure lasts a few seconds and is often mistaken for daydreaming. Atonic: Muscles in all or part of your body suddenly lose tone, so the affected area goes limp. If you’re standing, you may fall. This seizure lasts less than 15 seconds. These seizures begin in a limited area on one side of your brain. During this type of seizure, you may stay awake or experience impaired awareness. When you stay awake, called a focal aware seizure, you’re alert and can recall what happened. However, you may be frozen and unable to respond to others. Focal aware seizures generally last less than two minutes. When you have an impaired awareness seizure, you partially or completely lose awareness of your surroundings. Most patients engage in specific, involuntary movements, such as moving their mouth or picking at the air or their clothing. Others freeze and stay immobile. Although it’s less common during an impaired awareness seizure, you may repeat words, laugh, cry, or do things that are dangerous or embarrassing, such as walking into traffic or removing your clothes. Many patients find that their seizures follow a pattern or have a specific trigger. For example, your seizures may occur at a specific time of the night or day, or be triggered by stress or flashing lights. Dr. Stephenson works with you to create a plan for avoiding triggers and ensuring your safety during a seizure. The first line of treatment for epilepsy is anti-epileptic medication to reduce the frequency and intensity of your seizures. Dr. Stephenson may also recommend therapies such as neurostimulation or a ketogenic diet. If you suffer from seizures, call Neurological Associates of North Texas or book an appointment online.